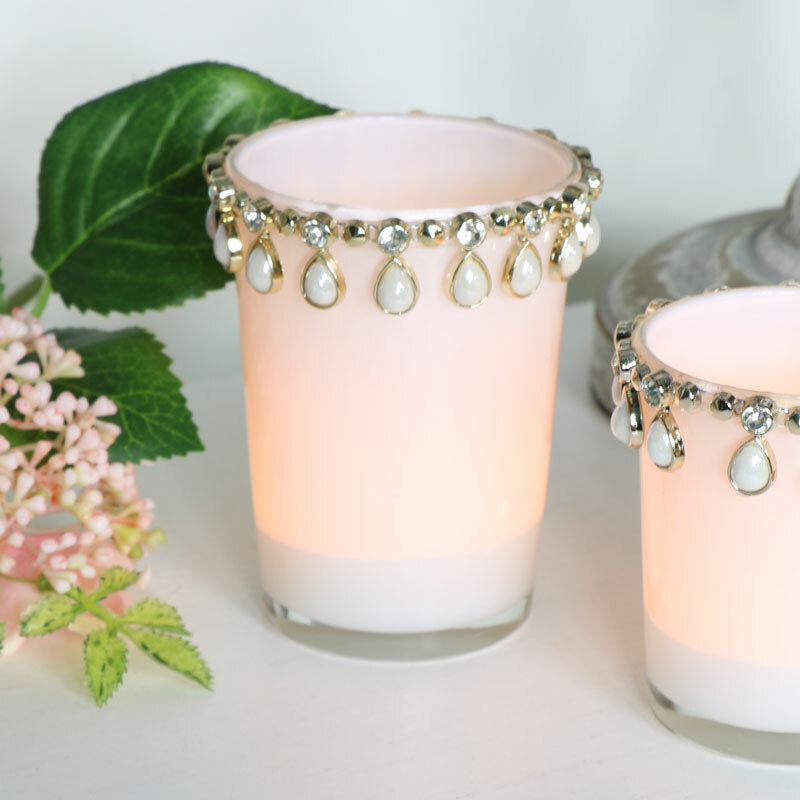 This is such a pretty tealight holder that will be perfect for a wedding table decoration or for adding some glamorous sparkle to your home. Glass holder in white with a gold circlet holding faux pearls and diamantes. This will easily hold a standard size tealight candle and cast a warm glow when the candle is lit. A great addition to our selection of tealight and candle holders, from the glam to the more rustic, making great gift ideas. 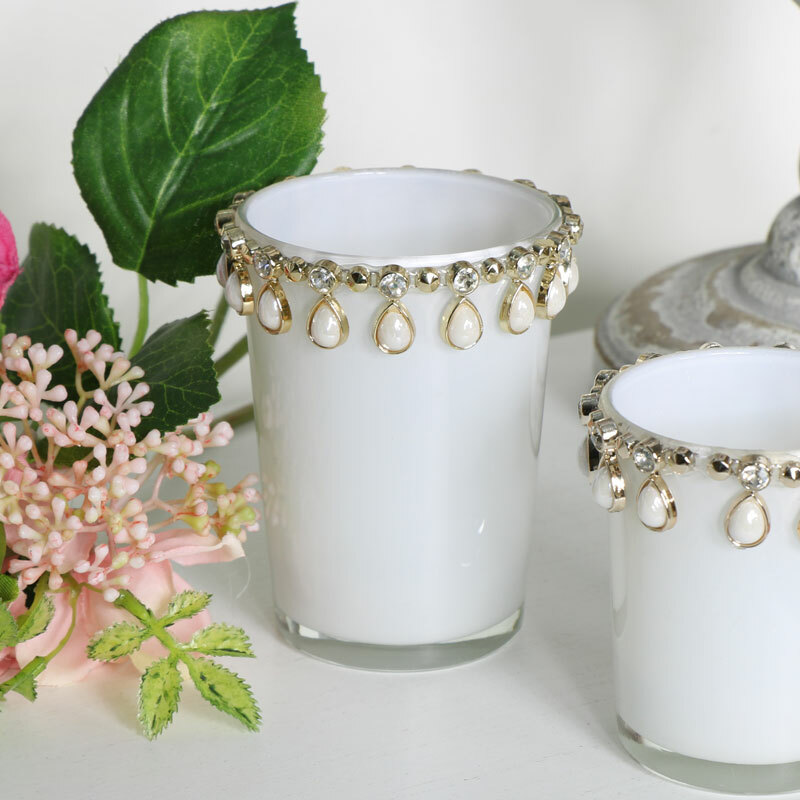 This is such a pretty tealight holder that will be perfect for a wedding table decoration or for adding some glamorous sparkle to your home. Glass holder in white with a gold circlet holding faux pearls and diamantes. This will easily hold a standard size tealight candle and cast a warm glow when the candle is lit. A great addition to our selection of tealight and candle holders, from the glam to the more rustic, making great gift ideas. Glass cups with gold plastic circlet and faux diamantes and pearls. We have an exquisite selection of gifts and home accessories for you to choose from, whether you're looking for that special gift or just a treat for yourself.